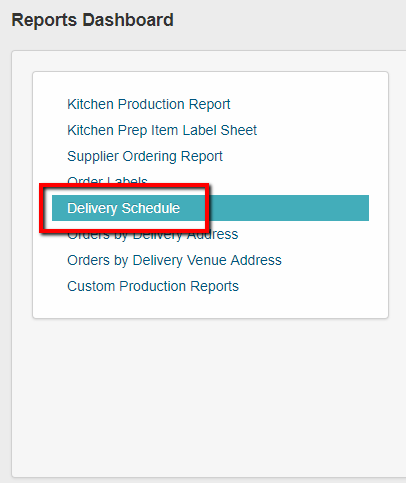 This article will go over how to view your Delivery Schedule report. 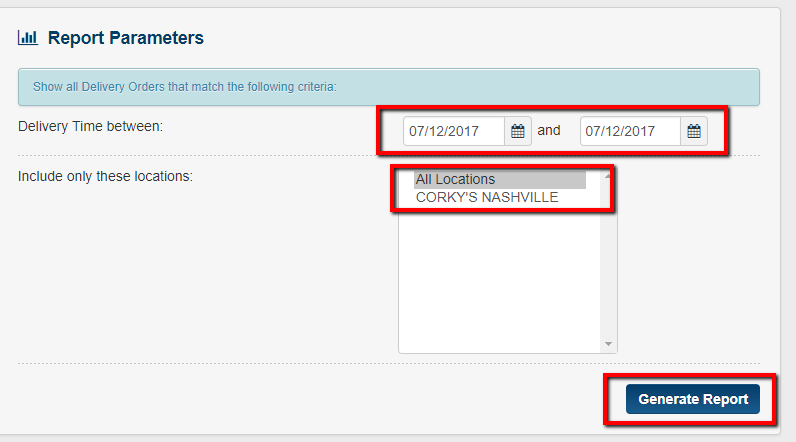 If you do not have the Delivery Manager option as part of your package this is a great way to view your driver's schedule. This report will show the time - date - customer - # of guest - order # - driver - delivery fee - address - and a link to the google maps. 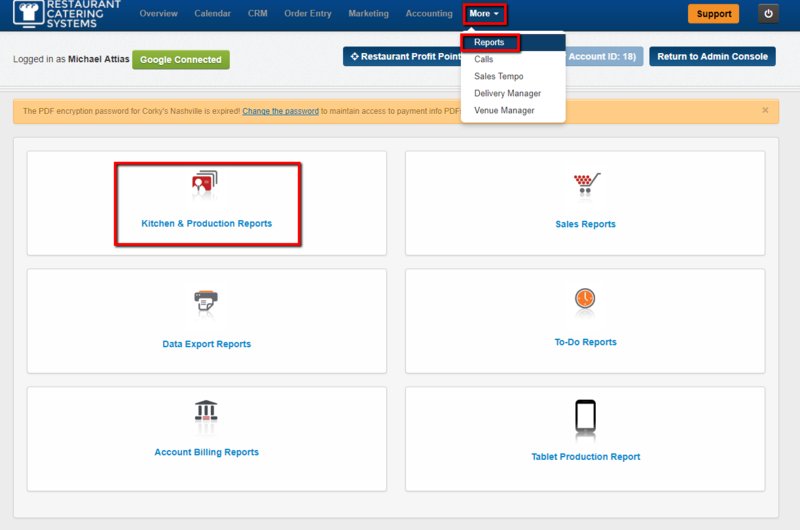 3 - Next choose your Date and Location and click the Generate Report tab. 7 - Note you have a link to the Order as well as a link to Google Maps. 8 - Make sure to check off the orders that you want to appear when Printing - Downloading - etc.